Many drivers dream of getting behind the wheel of a luxurious, performance-tuned Mercedes-Benz model and fall short of this dream due to minimal credit. Drivers may now realize this dream with the help of the Mercedes-Benz Rising Stars Program. Designed to give car shoppers with minimal or zero credit the opportunity to experience the Mercedes-Benz dream, this program caters to recent college graduates, current local or international college students and first-time Mercedes-Benz buyers. Explore this Mercedes-Benz Rising Stars Program overview for more information on this exceptional program. All vehicles that can be leased or financed through Mercedes-Benz Financial Services are available to qualified individuals through the Rising Stars Program. College graduates have worked hard to get where they are and often find themselves without the credit required to lease or finance their dream car – not with the Mercedes-Benz Rising Stars Program. Current local and international students who struggle to receive financial approval will find that it is easy to qualify with this innovative program. First-time car buyers with limited credit who do not require a high amount of finance will find themselves behind the wheel of their dream car in moments. Many of these opportunities require no down payment and no security deposit and provide low finance rates with variable term lengths. Take a closer look at how to qualify for the Mercedes-Benz Rising Stars Program and specific details below. 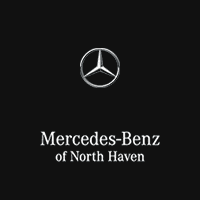 For more information contact the Mercedes-Benz of North Haven sales team. Interested in the Mercedes-Benz Rising Stars Program?